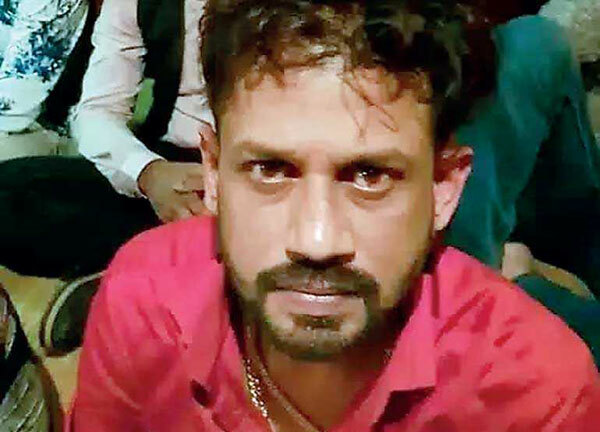 The two suspects arrested together with Makandure Madhush at his party and deported to Sri Lanka from Dubai had arrived in Sri Lanka aboard UL 226 at around 5.10 last morning, Police Media Spokesperson SP Ruwan Gunasekara said. The two had been handed over to the Criminal Investigation Department (CID) officers for questioning. According to the Police Spokesman, one of the arrested persons is identified as 37-year-old Mohammed Nazim Mohammed Faizer, a resident of Colombo 10. He had left the country on September 18, 2018. The other arrested suspect is 30-year-old Mohomed Mufa Mohomed Jabeer, a resident of Maligawatte, Colombo 10. He had left for Dubai on October 6, 2018. “The two are currently in the custody of the Katunayake Airport CID, the Narcotics Bureau and the Colombo Crimes Division for questioning. According to investigations, several crimes committed by Mohammed Nazim Mohammed Faizer has been revealed. Two crimes committed by him have been revealed so far, one was committed on August 26, 2018 in Maligawatte where a woman was shot and killed. The assailants had come on a motorbike and carried out the shooting.Investigations have revealed that the motorbike had been ridden by Faizer. Currently, there is a case against him in the Colombo Magistrate’s Court No.04 and an open warrant has been issued against him. The other charge against him is for attempting to shoot and kill a person near the Laksetha Sevana Housing scheme on September 12, 2018. The shots had been fired by Faizer and for that incident too, the Colombo Magistrate’s Court has issued an open warrant against him. This incident happened on September 12 last year and he had gone to Dubai on September 18,” the Police Spokesman said. Altogether 15 persons who were arrested along with Makandure Madhush have been deported from Dubai and had been arrested by the CID upon arrival in Sri Lanka. Of them, seven had been released after questioning. However, the Police Spokesman said that although they were released, the investigations are continuing. “Another suspect, Kanjipani Imran is still held in CID custody and interrogated. Another arrested person has been released on bail. In addition four others, including Ryan Van Rooyen have been produced in court and held in remand custody,” SP Gunasekara said. ‘Makandure Madhush’ was arrested along with many other Sri Lankans including celebrities at a party, which involved drugs, in a joint operation carried out by law enforcement officers in Dubai. The Police Spokesman also revealed that Faizer had committed the two crimes on the instructions of Kanjipani Imran. All the suspects had gone to Dubai on visitor visas. The SP said that Kanjipani Imran had revealed many details of vital importance for the investigations. He also noted that a seven member committee has been appointed and the Chairman of this committee is Senior DIG Ravi Seneviratne and DIG Ajith Rohana and SP Ruwan Gunasekara are also included in this committee. This committee is entrusted to supervise the investigation process.